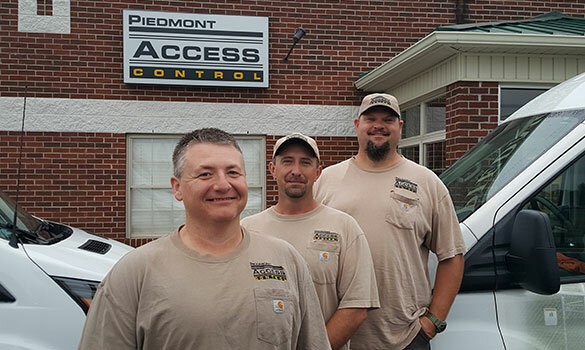 The Piedmont Access Control division of Piedmont Fence, Inc. was founded in 2002 to meet market demand for quality gate and access control services. We provide gate operators and access control systems for residential estate gate entrances and commercial gates for mini storages and building security. The division started with one technician/salesperson and has grown to three technicians and three service vehicles. The division covers a 100-mile radius of the Piedmont Triad in North Carolina, offering a variety of products, maintenance plans and full service needs for access systems. AFA is the largest professional association representing the fence, deck, and railing industry, with members in every state in the U.S. and in Canada. With access to over 25,000 industry-specific education and training materials, along with opportunities to grow business and improve profitability, AFA members enjoy the opportunity of peer-to-peer networking and resource sharing through chapter membership and annual events like FENCETECH. A Division of Piedmont Fence, Inc.